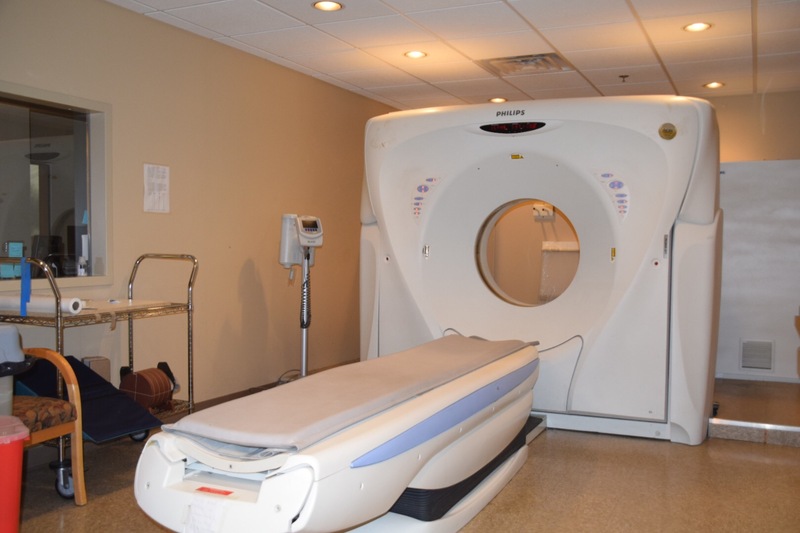 Progressive Diagnostic Imaging offers a 16-slice CT Scan machine. This machine gives us full-time access to brilliant images and diagnostic results. Our Riverdale NJ CT Scan machines offer one of the widest detector coverages in its class for fast high-resolution scanning, shorter breath-hold times and improved patient comfort. Progressive Diagnostic Imaging provides CT Scan Imaging services for its’ northern New Jersey area patients. What Is A CT Scan? How Does It Work? A CT Scan, also known as a CAT Scan, is the simplified term for ‘computed tomography.‘ CT Scans use a combination of x-rays and computing power to generate images of your body more detailed than what you’d see in a traditional x-ray. Once powered up, the CT Scan machine sends an x-ray beam around the imaging area. This movement creates several images at various angles which are then processed into a 2D, cross-sectional image. The CT Scan process is similar to an MRI Scan. The patient is typically laid on an imaging table and asked to stay still until the process is complete. This CT Scan machine offers lower radiation dose optimization tools that save patients from unnecessary doses of radiation. This machine also has dedicated pediatric protocols to ensure the best clinical results with minimal dose to your child. Lastly, our machine offers an improved view for patients with metal in their body. It’s called the Metal Artifact Reduction software. This software significantly reduces the artifacts caused by metal and other dense materials and improves the image quality of the patient’s scan. Quite simply, this CT Scan machine is the gateway to performing all applications with deliverable, proven results that doctors and patients can trust. Ready To Book Your CT Scan Appointment?